The World War II collection is free until Tuesday, November 8, 2016 at 11:59 p.m. ET. Find untold stories of your family’s WWII veterans with access to exclusive records, personal stories, photos, and more. 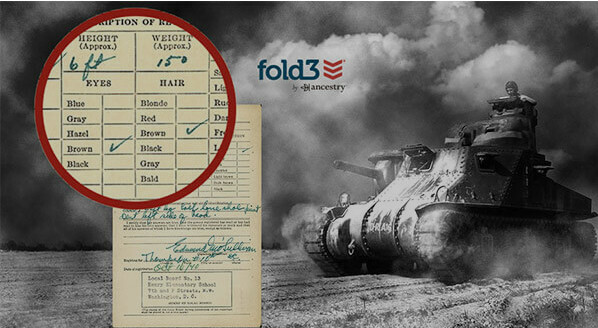 Follow this link to search the WW II Collection for FREE through Tuesday. Fold3’s Native American Collection is free until Tuesday, November 15, 2016 at 11:59 p.m. ET. Titles in the collection include Ratified Indian Treaties, Indian Census Rolls, Dawes Packets, Dawes Enrollment cards, and much, much more. Visit the Fold3 blog post Free*Access to the Native American Collection for additional information, or go directly to the Native American Collection webpage to start searching for FREE.